Every few years, one is treated to a flurry of panic from evangelical Christian circles about the “mark of the Beast”. Sometimes it is national IDs. Sometimes it is RFID chips. Sometimes it is a proposal for a world currency. Whatever the fad of the moment, it is taken as a herald of the End Times—a sign of submission to that enigmatic, Satanic figure from the Book of Revelation known as “the Beast”, who has been variously identified with everything from the Catholic Church to the United Nations, from the CIO to the Prophet Muhammad. Perhaps the most startling claim, however, was made by the wife of a late 19th century Plymouth Brethren preacher, Emily Crowley, who identified the Beast as her own son, Edward. As an adult, Edward abandoned his given name for the name Aleister, but he did not give up the unusual nickname his mother had given him. In fact, he delighted in it, the more so as it and its associated number 666 manifested again and again with astonishing synchronicity in his life. In 1904, while on honeymoon in Cairo, his wife Rose fell into repeated trances during which she would she speak the words, “They are waiting for you,” which were identified as a message from Horus. Crowley took Rose to a local museum and asked her to pick out Horus among the artifacts. Rose bypassed several common depictions of the god before stopping at the Stele of Ankh-ef-en-Khonsu. The exhibit number was 666. 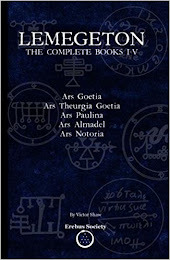 It was after this that Crowley began to receive the revelations that would lead him to found the religious philosophy of Thelema, which would in turn lead him to finally assume, by formal magickal investiture, the Greek name TO MEGA THERION, the Great Beast—a name whose letters add gematrically to 666. By this time, however, Crowley’s identification of himself as the Beast had become more than the rebellious rakishness of his boyhood, and more than the erudite yet dramatic anti-Christianity of his adolescence. In his maturity, Crowley came to a reappropriation of the Christian symbolism that had permeated his childhood home, using it as a vehicle to proclaim his own, radical vision of man’s spiritual life, and the unification of the false dualities that he felt Christianity had reified. In calling himself by the name of the Beast, Crowley’s contemporaries thought he was swearing his allegiance to Satan; in fact, he was all but proclaiming himself Christ. Crowley took many magickal names over the course of his life. One of the least known, but most important, was the one he assumed on reaching the rank of Adeptus Minor 5°=6□, Christeos Luciftias. Enochian for “Let there be light,” the name was partly an homage to his friend and teacher Allan Bennett, whose motto was the same in Hebrew, but Crowley no doubt relished bringing the names of Christ and Lucifer into such amusing juxtaposition. One might well see the bulk of Crowley’s philosophical career as a quest to transcend duality through the union of opposites. Much of his own character, which he constructed with a rare directionality and consciousness, was built in this way, and the bulk of his magickal system, poetic sensibility, and religious teaching, followed the same principle. The opportunities for overcoming duality inherent in the figures of Christ and Satan would have been especially apparent to him, having heard his father read from the Bible every morning after breakfast as he grew up. 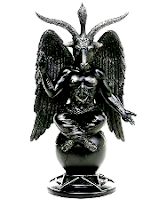 Lucifer, popularly conceived as the Devil, is actually the name given to the Morning Star in Isaiah, and the Morning Star is a name that Jesus attributes to Himself in Crowley’s favorite book of the Bible—the Book of Revelation. 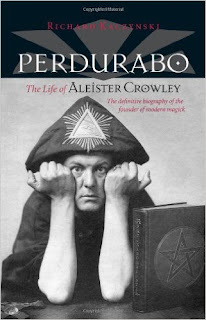 The Book of the Law—the central book of Thelema, revealed to Crowley in Egypt following his wife’s trances—teaches that “every man and every woman is a star”, a doctrine that Crowley held to mean that “our religion, therefore, for the People, is the Cult of the Sun”. This was only fitting, given that the god identified by Thelema as the primary deity for the “New Aeon” is Horus, an Egyptian sun god. And the prophet of the new religion—the Great Beast who had been ordained to proclaim it? 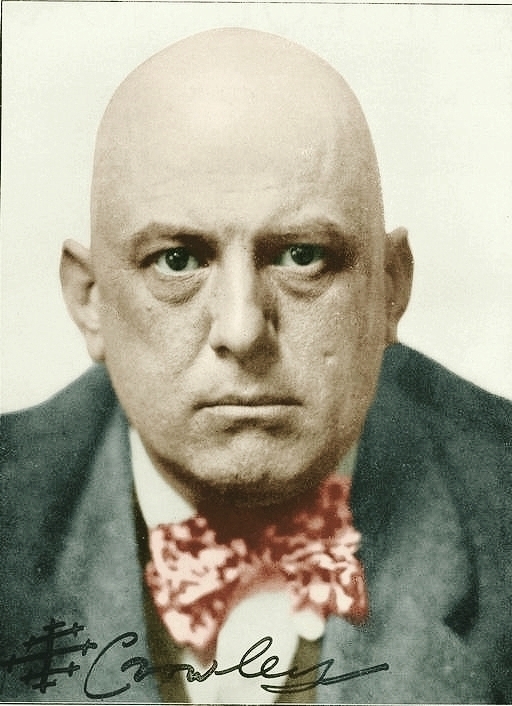 Of him, Crowley wrote that “this Aleister Crowley was not a man, or even a number of men; he is obviously a solar myth.” For Crowley, this was the great, untapped potential of humanity; led astray through long centuries of looking to others for their salvation, men and women had forgotten that the sun is within them—had forgotten that they are, at their root, one with the supernal sun which is undying. The mission of Crowley’s magick and his teaching was to remind them of the majesty of their true nature. Crowley had no naïveté about this nature though; he had spent far too many years among the Arabs for that. Since ancient times, Arabian myth and poetry has held the sun—praised as the bestower of all life throughout much of the rest of the world—as the destroyer. In the harsh wastes of the Rub’ al Khali, the sun did not cause plants to grow, but withered them. Crowley, likewise, understood the sun’s apparent dual nature—its rarified amorality. “Horus, the Sun,” he wrote, “is a symbol of That which contains [and] transcends dualities…” In the course of this process, evil was overcome, for “the idea of evil comes only from perceiving the oppositions which are transcended by Truth.” The discovery of one’s True Will—one’s true purpose in existence—which Thelema prizes as its highest aim, was necessarily a process of integration, in which even the individual’s “Shadow” could be united with their inner star. Crowley was not being entirely facetious when, during the “Black Magic Libel Case” of 1934, he quipped back to the cross-examiner interrogating his title as TO MEGA THERION that, “It only means sunlight; 666 is the number of the sun… You can call me ‘Little Sunshine’.” Given the context of Satanic accusations involved in that case, there is an extra level of tongue-in-cheek profundity here. Crowley was well aware that his solar association set him up as a “Lightbringer”—the literal meaning of Lucifer—but also that the number of the Beast connected to the sixth sephirah on the Kabbalistic Tree of Life—Tiphareth—which is associated with beauty, the sun, and the heart chakra, as well as, in the writings of Christian Kabbalists, Jesus. Like other “blasphemies” he would hijack from Christian literature to express the dynamics of New Aeon concepts … the term “Beast 666” was just another example of Crowley using concepts that in the past represented the unholy terrors of an evil future, and redeeming them so that they presently represent the holy mysteries of the emerging new age. It’s as simple (and as unsatanic) as that. For Crowley, Thelema was not just about making individuals whole by the integration of their shadows with their stars; it was also about making whole an entire civilization driven mad by two millennia of projecting its inner darkness and demons out onto an amoral cosmos and quixotically pitting itself in battle against these phantasms. The society, Crowley realized, that is not prepared to come to terms with its own devil is not ready for the teachings of Thelema, which await the time when, perhaps, a greater number of men and women can read not just Crowley’s books, but the world around them, with eyes for what it is, instead of what they have so long imagined it to be.